I took a 15 hour Test Booster Course with Steve. Before I started the course I was given a Driving Skills DVD and workbook. I found these both to be extremely helpful. Especially the DVD which takes you through everything step by step and you can correspond this with the lessons. 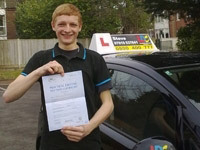 I would like to say how I passed my test FIRST time and found Steve’s way of teaching very easy and understanding. Within the first day my driving skills had improved no end and it just kept improving. 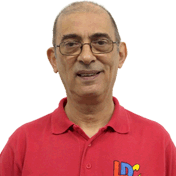 I would like to strongly recommend the LD system and Steve’s method of teaching to anyone who wants to pass quickly and easily. All I can say is if you want to pass with ease learn with Steve.